Abstract: Using the power source, the rider can charge his mobile phone via USB cable. Thereby the rider will no longer worry about lacking of power in mobile phone. Airwheel Z5 even can pack away to a small size so that the user can take it into the public transportation such as the bus and the metro. A lot of Asian visitors will get access to the new products. This kind of two-wheeled self-balancing scooter looks like the traditional electricity-assisted scooter. However, it differs from the traditional one a lot. It is by far lighter, more convenient and portable. Canton Fair 2016 Spring-the 119th Canton Fair is the largest global-level exhibition in China. Canton Fair usually attracts numerous exhibitors and visitors to come for it each year. This year, it is believed to allure a great many audience too. Airwheel snatches at this opportunity and signs up for it in an attempt to gain wider currency and further enhance its global image and reputation. 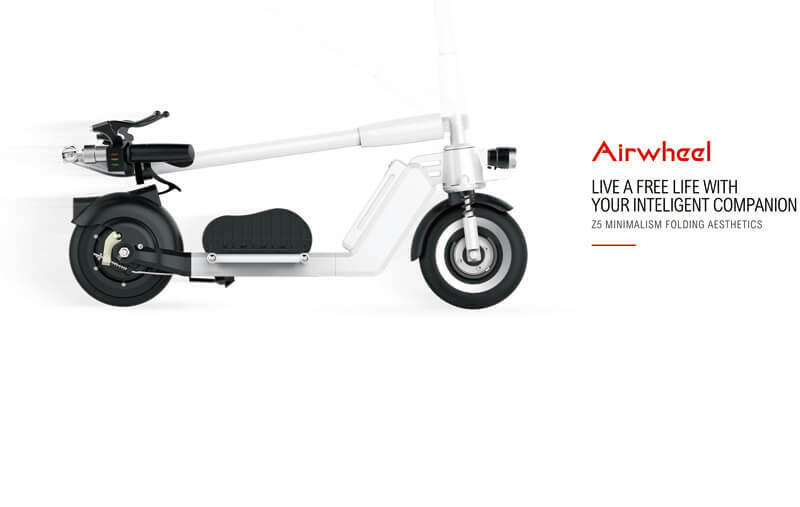 At the same time, it will present its latest new product Airwheel two-wheeled intelligent scooter Z5. 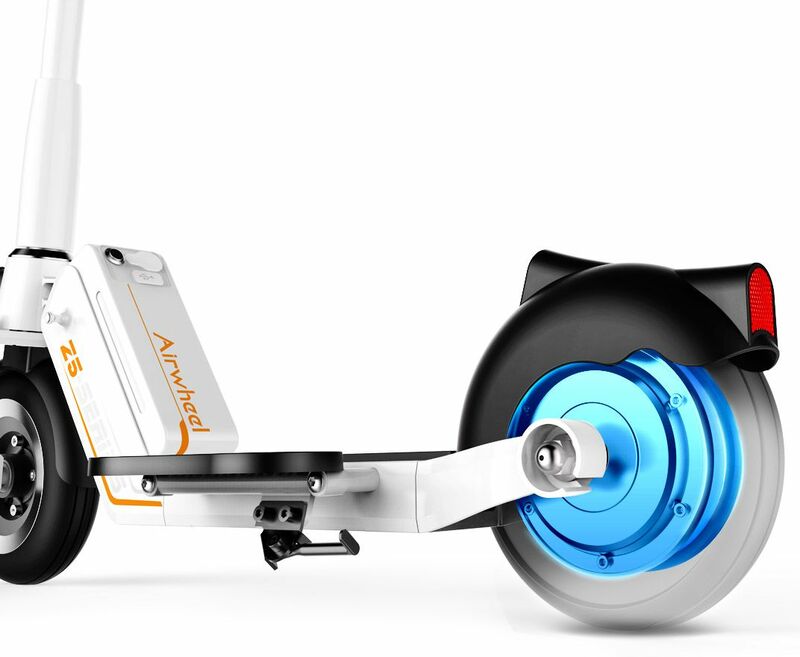 Airwheel Z5 is touted as the most convenient electric scooter. This title is from its ability to pack away and its USB port. The USB port enables the rider to use it as a moving power source. Using the power source, the rider can charge his mobile phone via USB cable. Thereby the rider will no longer worry about lacking of power in mobile phone. Airwheel Z5 foldable electric scooter even can pack away to a small size so that the user can take it into the public transportation such as the bus and the metro. The small size is convenient for the user to store it. The user can put it under his desk in the office. It will not stand in way of other colleague.